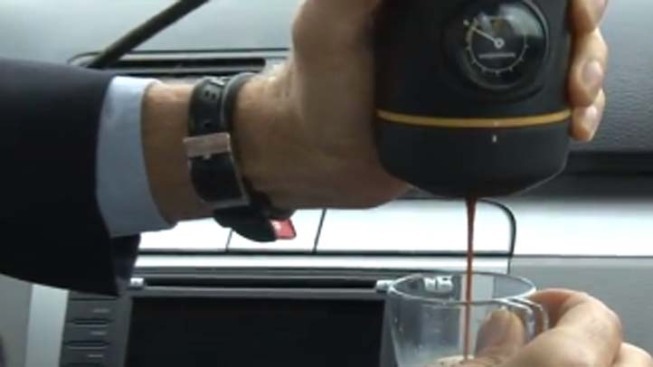 A new gadget lets you brew espresso in your car. Caffeine-addled commuters take note – it’s now possible to get your morning coffee fix from inside your car. The 2-pound Handpresso Auto mobile espresso machine plugs into a car’s cigarette lighter socket and fits in a cup holder. After you provide the water and a pod of coffee, the gadget delivers 16 bars of pressure to produce a shot of espresso in two minutes, Bloomberg Businessweek reported. Nine bars of pressure is typically considered adequate for making espresso, but purists could be turned off by having to use pods instead of freshly roasted beans ground just before brewing. Handpresso shipments will hit the French market in April, and it’s too soon to say whether the invention will go stateside, company spokeswoman Catherine Nielsen, told Businessweek. TV reporter Katie Davis' barnyard live-shot ends with fowl play. A rooster became perturbed with her presence and began pecking her leg. The plucky reporter kept her sense of humor and laughed the attack off. Davis said it was the first time she has been attacked by a rooster. Nielsen said her husband, Henrik Nielsen, invented the product and died three months ago. A video on Handpresso’s site demonstrates what’s probably the best method for playing barista in one’s car. 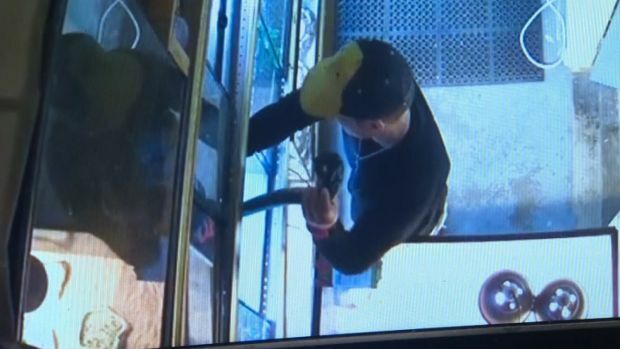 The clip shows someone pulling over on the side of a road before brewing and drinking his elixir.